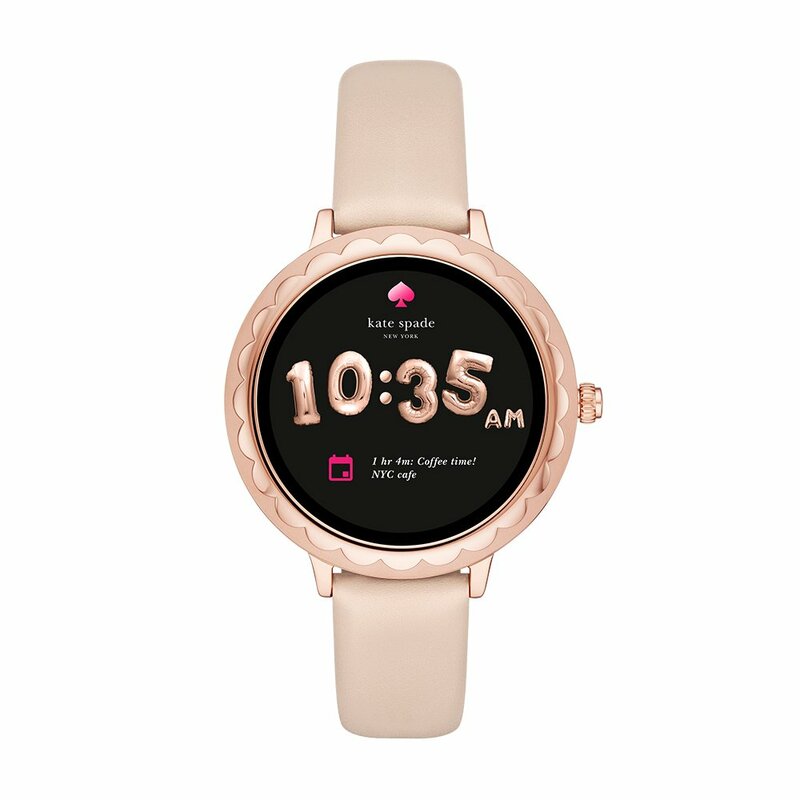 kate spade new york proudly presents the brand’s first-ever touchscreen smartwatch! Style meets tech with a signature scallop topring at the 41.5mm display dial. Swipe through several adorable novelty and classic dials to suit your look, whilst staying in the loop on your notifications, social media, and weather updates with clever animations. The Google Play store makes it easy to browse and download apps straight away to your watch. 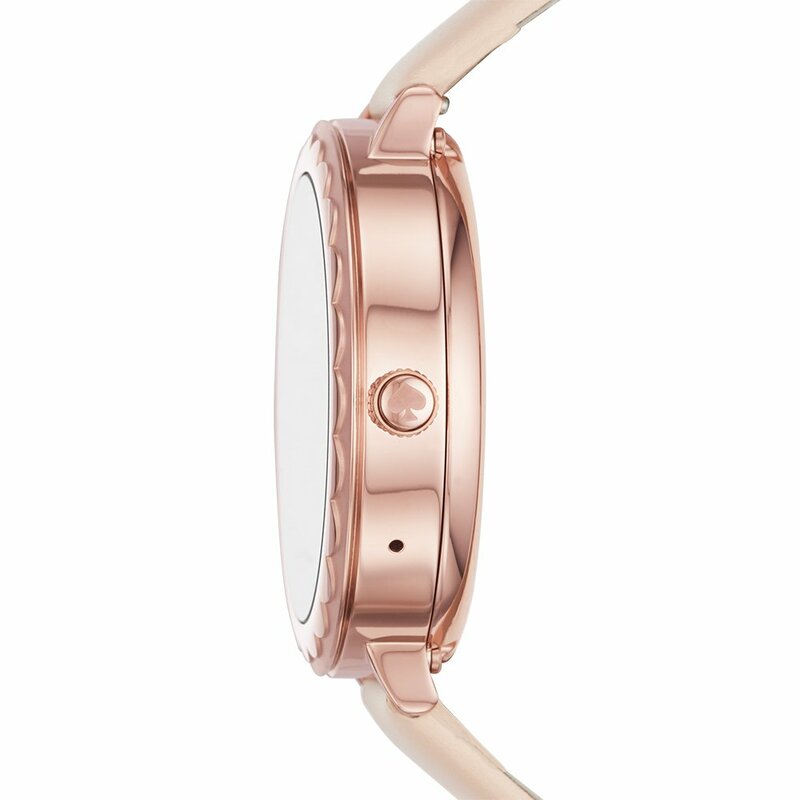 No wish to sacrifice style or connectivity with the easiest feminine touchscreen smartwatch. 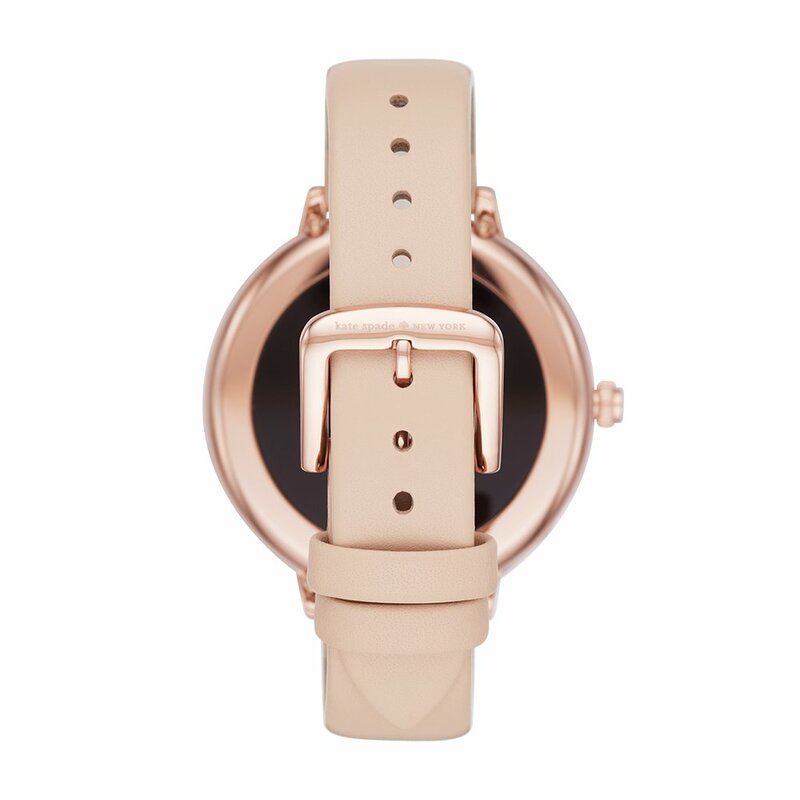 With a scalloped gold-tone case and matte black leather strap, the watch is iPhone and Android compatible.